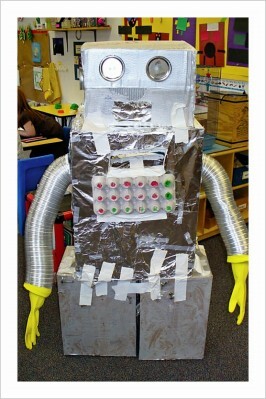 Handsman, this silver-painted robot with the high-tech egg-carton control panel, was constructed by my five-year-old’s preschool classmates, who are studying robots this month. Handsman looms at over 4′ (taller than your average preschooler) and sports zippy yellow rubber gloves–hence, his handy name. 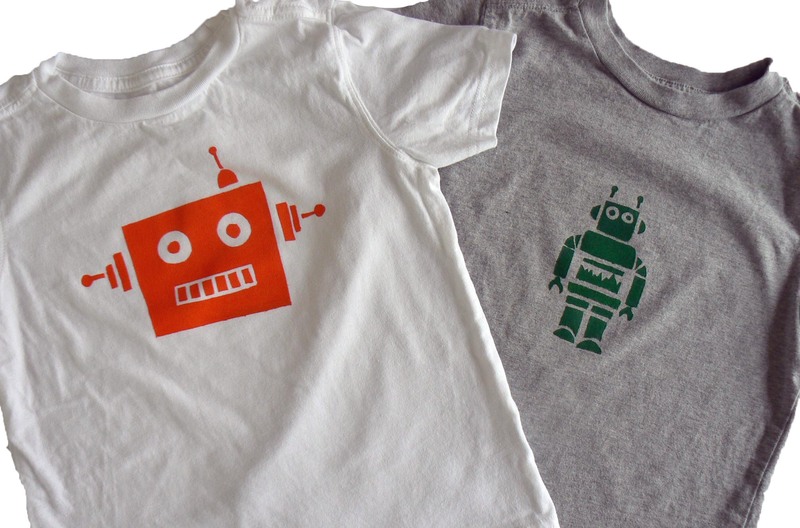 To show my full support for robot curriculum everywhere, I decided to make some robot tees for my little guy with freezer paper stencils. Freezer paper stencils have a high fun factor: big on reward, low on effort. Here is the complete how-to. If you fret about drawing your own robot stencil, then download an image, print, and trace. 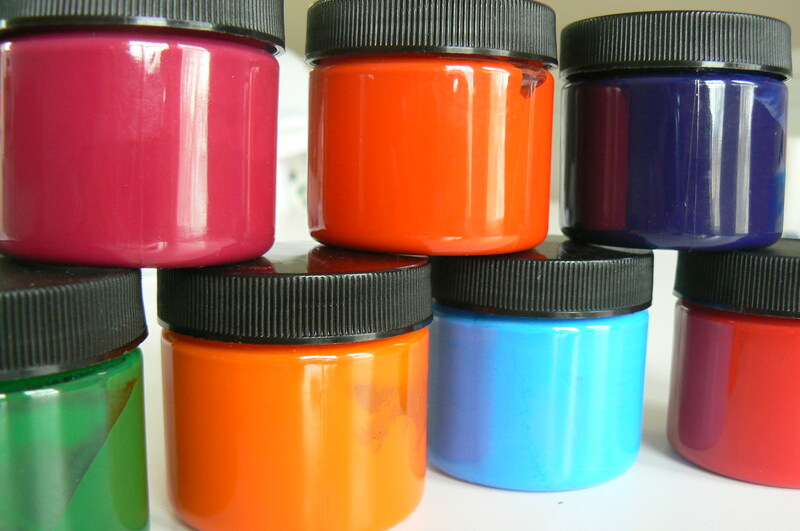 To avert laundry tragedies, don’t forget to heat-set the paint after it dries. Thanks, Cath! I know what t-shirt I’ll be making you. These are so cool! I love the stencils. I wanted to download the PDF but the link didn’t work on my computer. Was curious how you did the parts like the eyes. Is it all one stencil or several put together? I did get it to work–just had to double click! The instructions are excellent; pictures are really helpful. Can’t wait to try this! I like that idea, Sarah! We’re working on it . . .
Oh, good! Just making sure. And for what it’s worth, the PDF worked for me.